However, in order to “give away” your HDB flat in the will, you will have to be the solo-lessee of the HDB flat. If you hold the property on joint tenancy with somebody else, it will devolve to the remaining joint tenants through the doctrine of survivorship. For example, if you hold the flat with your spouse as joint tenants, when you pass on, your spouse automatically takes over the HDB flat as the sole lessee. This tends to be the default position Singapore as most couples who take over a flat from HDB usually do so as joint tenants. A common scenario when someone will “will” away a HDB flat in Singapore tends to be when one spouse survives the other and becomes the sole-lessee through the doctrine of survivorship. Here, this person can choose to deal with the HDB flat in whatever manner he or she chooses. The less common situation is if the HDB flat is held as tenants-in-common. This is the situation where each co-owner holds a separate and definite share in the HDB flat, and the right of survivorship does not operate here. Therefore, it is possible to “will” away your specific share in a HDB flat if you own it with others as tenants-in-common. After you pass on, the process in which a HDB property is distributed is similar to the process in which private properties are distributed. 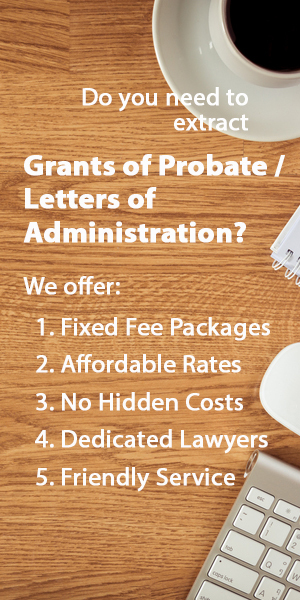 Your executor (if you have appointed one) will be required by HDB to apply for a Grant of Probate before you will be authorized to take over the HDB flat for distribution. What happens to my HDB flat if there is no Will? 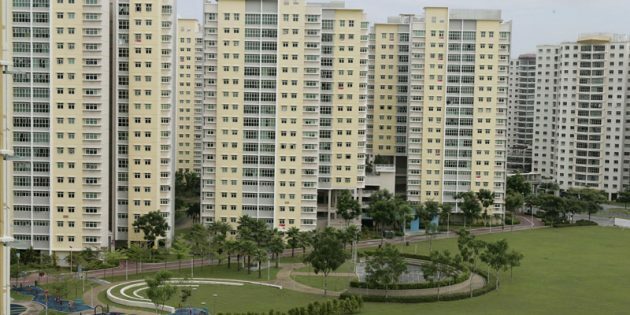 If you are the sole-lessee of the HDB flat, or if you hold part of the HDB flat as tenants-in-common, your HDB flat (or share of the HDB flat) will be distributed in accordance with the Intestate Succession Act. If you’d like to find out more about how your property will be distributed according to the Intestate Succession Act, click here.